Walking along the Pacific Crest Trail from Donner Pass on a late fall day. High, thin clouds caught the afternoon sun and cast a subtle streak of color arcing over the mountains. Most people are familiar with the refraction that causes a rainbow. This sunbow has a few key differences. First off, rainbows are only visible opposite the sun. 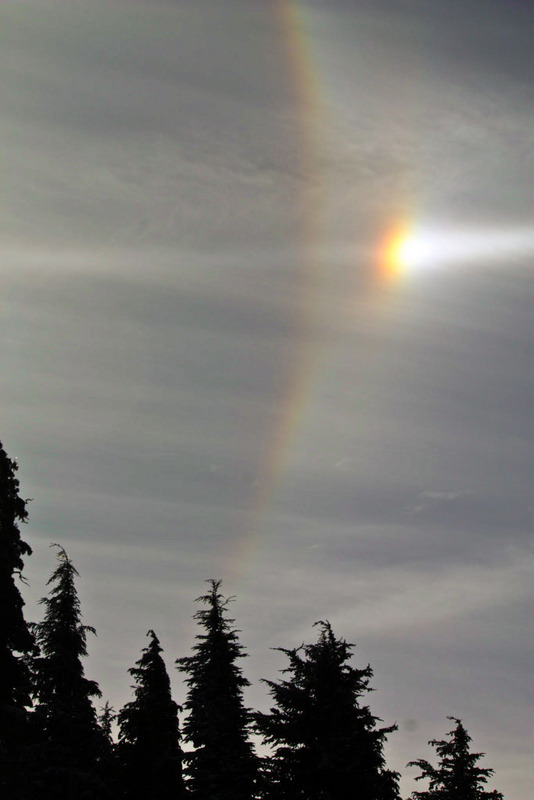 Second, take a look at the order of colors in the sunbow. It doesn’t look quite the same as the usual rainbow.